With a background as a trial attorney for the Justice Department, Richard Greenberg's focus is advocacy to achieve his clients' goals in commercial and regulatory litigation and counseling. Richard Greenberg represents clients in commercial and regulatory litigation and counseling, as well as environmental litigation. A substantial aspect of his practice involves complex commercial litigation in state and federal courts, and he has tried numerous commercial and regulatory lawsuits to verdict. Richard has defended and advised businesses and individuals implicated or charged with federal regulatory or commercial violations. Cases involve representation of targets, subjects and witnesses for environmental, antitrust, health care, bank fraud, mail and wire fraud, energy, transportation, contracting and other federal offenses. In his environmental practice, Richard has represented petroleum refiners; demolition and sanitary landfills; treatment, storage and disposal sites; hazardous waste processors and transporters; fuel suppliers; cement manufacturers and other private and public companies in matters related to environmental compliance, CERCLA, RCRA, TSCA, SARA, debarment and other issues. He has handled administrative and civil litigation proceedings with the Environmental Protection Agency and state regulatory agencies and has focused on defending allegations of environmental crimes. Richard also acts as outside general counsel to a number of corporate and non-profit clients, including universities. 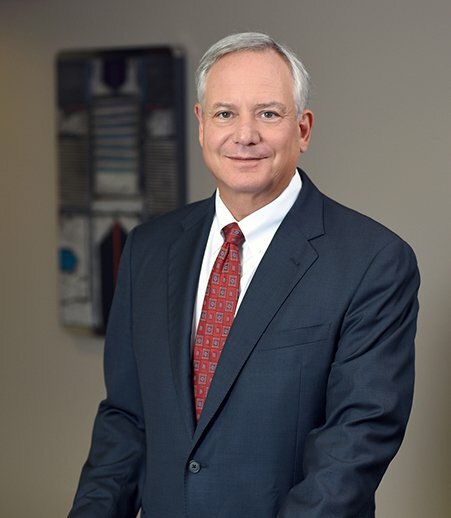 Before entering private practice, Richard represented federal regulatory agencies as a trial attorney and assistant director in the Civil Division of the U.S. Justice Department. He was a recipient of the Department of Justice’s John Marshall Award, the DOJ’s highest award offered to attorneys. Richard formerly taught trial practice as an adjunct professor at Saint Louis University School of Law. He is a former member of the firm’s Board of Directors. "Defending a Criminal Environmental Investigation"